One of our favorite things about being a photographer is getting to visit places we wouldn’t necessarily get to go to otherwise. And now, we are going to Balboa Peninsula for the Sophath and Lucy’s engagement session. It was timely escape from the busy everyday life in the city. They were both a bit quiet when the shoot was starting out. If you take them separately, they’re a bit reserved, but when you put them together and they look at each other, the smiles just come bursting forth. But our engagement shoot to the Peninsula wouldn’t be complete without taking a picture and a ride to the Balboa’s famous Ferris wheel. True love can make any situation more comfortable. We love how Lucy lights up for him. We saw how happy they were it just felt like they were the only two people there. 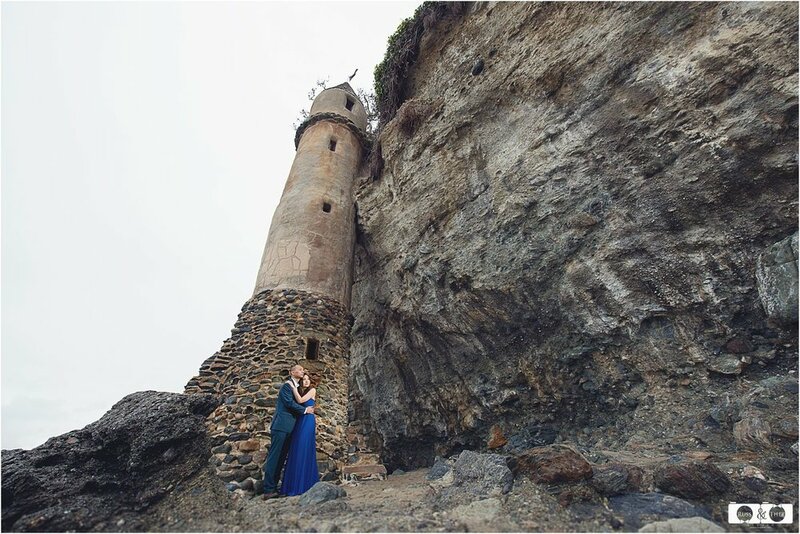 We continued our photo shoot at Victoria Beach which known for its medieval-looking tower rising from the sand. It is visible from the beach at low tide which is picture perfect scenery. Our session was like a one long silent conversation. They said so much to each other and about themselves, but without using words. Sophath is a quiet guy. He doesn’t say much at all. But he says so much in the way he looks at Lucy. It was amazing to watch. They wanted to photograph as they are. It was just the two of them, my team, our cameras, the birds and the waves. It’s that simple; It’s just who they are. Forehead kisses and sunset by the sea. There’s a certain melancholy that comes with shooting at the beach, spent with two people wondrously in love with each other. For Sopath and Lucy, it’s as if the universe conspired to bring them together. And yes, we may have just lifted that from a quote but hearing the couple’s story, it definitely rings true that line. This gallery is for sure is a faithful testament to that. Congratulations on your engagement! We can’t wait for the wedding!